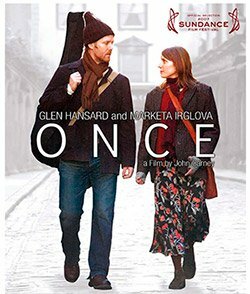 When I watched the film Once (2007, John Carney), I remember being so touched and inspired by the story of two talented musicians meeting each other in the streets of Dublin. What is even more amazing is that the film is based on true events. 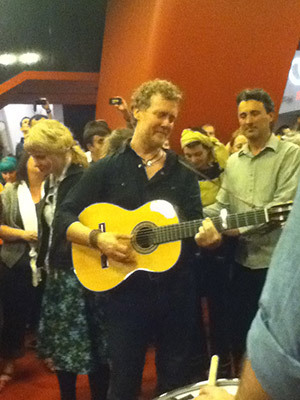 The film’s stars, Irish musician Glen Hansard and Czech singer-songwriter Marketa Irglova, are also musicians. They have been creating great music together as The Swell Season. The Frames is playing in Melbourne! 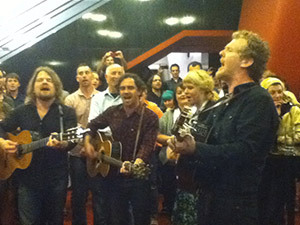 Imagine my surprise when I found out that Glen Hansard and his original band, The Frames, will be performing as part of the 2013 Adelaide Festival! 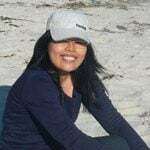 Coincidently, a good friend of mine had arrived in Sydney, and we thought of going to the concert together. 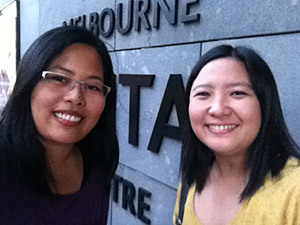 After working out our schedules, we realized we could only catch the concert during its run in Melbourne. We were so glad we did! 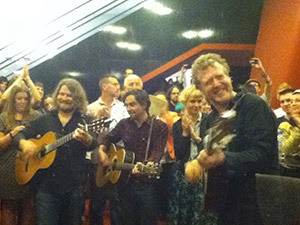 Glen Hansard is such a charismatic performer. After finishing his concert’s formal line up, he went back to the stage and started performing random songs. He then literally brought the concert to the audience. He went down the stage, all the way to the street outside the Melbourne Recital Centre, all the while singing great songs. I will never forget that moment. It was already past midnight, Glen was right there in front of us, and we were enjoying a concert in the street! I really appreciate how easy it is to have access to great shows in Australia. 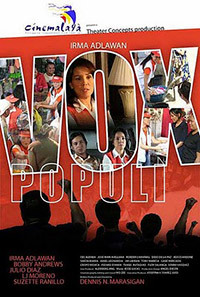 Just recently, I was able to catch Vox Populi (2010, Dennis Marasigan), a Filipino film which was also featured in the 2010 Cinemalaya Film Festival. As part of the Adelaide Fringe (thanks to Anahata Community), the film screened to an international audience. It’s amazing for an independent film to get this opportunity: be seen outside of its country by a different audience. Aside from film screenings, I’ve also been able to go back to watching theatre, especially plays in which a couple of friends have performed. Adelaide has an abundance of arts and cultural festivals, opening its alleys and streets to painters and buskers. It’s an environment where people could meet future Glen Hansards or see nice films. I’m looking forward to the next shows with excitement.